Destiny 2 still a ways off. The weekly reset has come and gone for Bungie’s Destiny, bringing a familiar range of activities with the usual modifiers. Don’t worry – only three more months till Destiny 2 releases. The Nightfall this week is Sepiks Perfected, a remade version of the Year One Strike which takes place on Earth. Modifiers for this include Epic, Arc Burn, Ironclad, Exposure and Catapult. Basically, equip an Arc class and throw lots of grenades. Once enemy shields go down, use your Adept Fatebringer, Fate of Ir Yut or favoured Arc element weapon. Modifiers for the Heroic Weekly Strikes include Heroic, Void Burn, Berserk, Brawler. Voidwalkers and Defenders should have a blast here, especially with the increased melee damage. 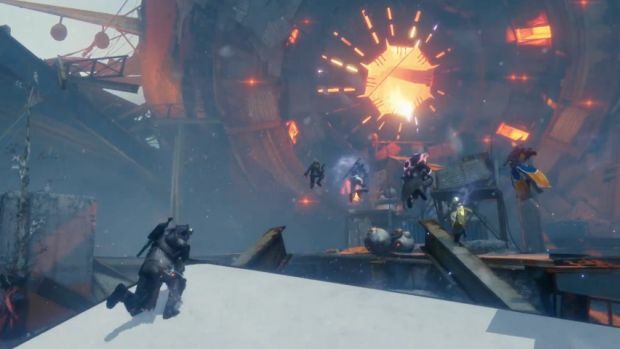 As for raiders, King’s Fall on the Dreadnought is the featured raid. All Challenges will be active and have the potential to grant Adept weapons, Ornaments and max Light level gear. For more information material exchanges, bounties and weekly Crucible playlists, head here.